Custom shaped animal wooden figures, people wooden tokens, wooden game pieces, etc. are available. 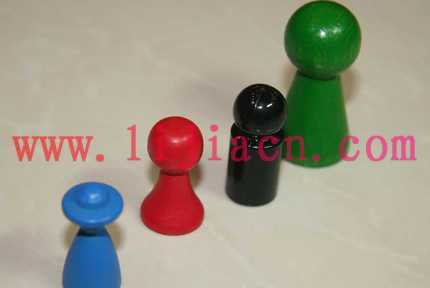 All wooden game pieces are made of natural oak or schima wooden material(hard wood). All color coating is eco-friendly painting to meet requirements of CPSIA, ASTM F963, En71, CE, etc. No moisture, no mold, any PMS color coating is available. FSC wooden material is available.